NZdirect is an award-winning inbound tourism company based in Nelson, New Zealand. Specialising in travel services in relation to international education, the company organises travel for visiting families as well as for international students during their stay in New Zealand. The company successfully operates the NZdirect International Student Tours since 2002. All tours and programs are strictly in accordance with the requirements of the New Zealand Code of Practice for international students under the age of 18 years, which is taken seriously. The overarching desire of the management and team at NZdirect is fun-filled, authentic travel experiences in New Zealand that enhance the lives of the tour participants and respect the natural and cultural environment of New Zealand. The company is a member of the New Zealand Tourism Association and the German New Zealand Business Association. Contact us anytime for more information on any aspects of our program. All our tours are accompanied by experienced, responsible guides and supervisors who are Kiwi experts. We choose our guides carefully to ensure that students are looked after well and have fun on our tours. In addition to the principal guides, NZdirect International Student Tours also employs tour assistants and student liaison guides. 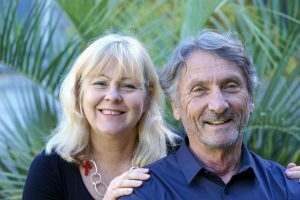 Having spent more than 10 years working with international students in Europe and New Zealand, the tour director of NZdirect takes his own share in guiding our international student tours. David is passionate about what he does, be it building houses, cooking or travelling. As a true Kiwi, David loves to share stories and a laugh with the students. A father of three kids himself, David knows how to entertain and always creates a fun and adventurous atmosphere on tour. Alina traveled to New Zealand in 2016 and has been here ever since. She fell in love with the country and is grateful to have the opportunity to work and live in this beautiful part of the world. She’s traveled both the North and South Island and is always keen to go on missions exploring corners of the country she hasn’t been to yet (and there is a lot to see in NZ :)). Previous trips took her to Australia, Canada, USA and many different places in Europe. 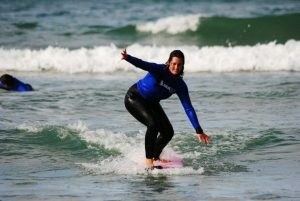 Now working for NZdirect means she can combine her passion for travelling with her background in organizing events. In her free time she’s enjoying all kinds of different activities, like hiking, stand up paddle boarding, yoga and playing ultimate frisbee, to name just a few. Nicola is originally from Hamburg, Germany. In 2012 she made the decision to explore the world for herself and started her Around-the-world trip. This one-year adventure took her first to Singapore and Australia before she came to New Zealand on a Working Holiday visa and has traveled especially the South Island extensively. 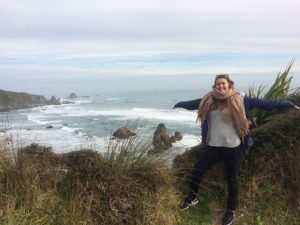 After spending 8 months in NZ, climbing on glaciers, bungy jumping, kayaking and exploring the Fiordland (and much more) she continued her travels to Fiji, Hawaii and the Westcoast of the USA. Having lived three years in England she has decided to come back to beautiful New Zealand to explore it some more and help other people get to know this gem of a country as well. Born in the south of New Zealand, Dunedin, Daniel has grown up thick-skinned and immune to the cold. Don’t be surprised when he starts walking around in shorts and bare feet in autumn. Daniel has been all around the south island, and most of the north island, for family holidays and study prior to guiding. He loves getting out to new places, fishing, wakeboarding, snowboarding and playing music. He’s also a bit of a geek having completed a BSc majoring in statistics and working in the office across the road from NZDirect. He also teaches English there and additionally knows a little bit of Te Reo Maori. He likes to introduce some of these Maori words during the tours. Ask him questions about languages, NZ culture and New Zealand in general and he should be able to answer it. 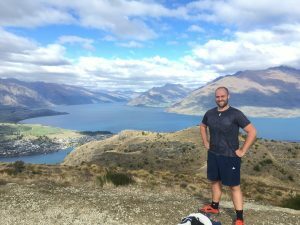 With a few years of working with students under his belt, he is happy to guide people through New Zealand and have a bit of fun while doing so. Steffi always loved to travel around the world. As a backpacker, she already went to various places in Europe and Latin America. In 2015 Steffi also came to New Zealand. By then she was working for a national nature conservation group and got to know the unique environment of New Zealand. Through her work, Steffi learned a lot about the natural history of New Zealand with its fascinating plants and many birds, as well as the country´s culture and people. After studying pedagogy back in Germany, Steffi decided to return to New Zealand. Now she lives in sunny Nelson and enjoys working as an International Student Coordinator. Steffi says it is just great to share her knowledge and passion for this beautiful country with the students. In her free time, she is quite active and spends her weekends' hiking, rock climbing, trail running, or paragliding. Through such sports, you get to know a lot of stunning places here in New Zealand. Steffi is keen to share her experiences as a Tour Guide and to show you around the amazing landscapes of New Zealand.